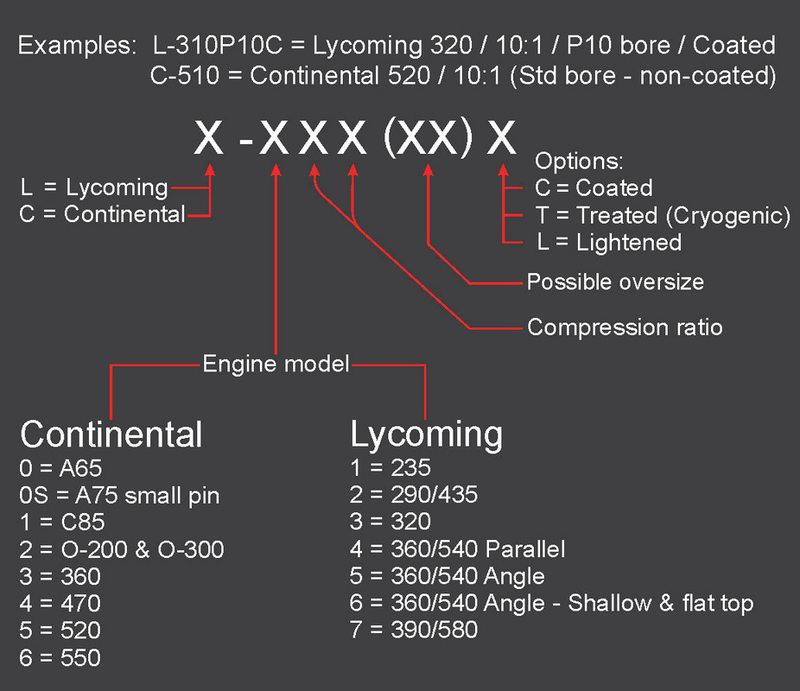 Q: How do you read the NFS Piston model numbers? Q: What is a "Drop Forged" piston? The most common method (used by factory engines) is a casting. A cast piston is created by pouring molten aluminum into a mold using natural gravity. This is the easiest and least expensive method, and normally produces a good quality part. Due to their low price, cast pistons are often the choice for factory production engines. Another type is a "billet" piston - where a piston is machined from a single solid piece of raw aluminum. This is much more expensive and time consuming than a casting, but usually results in a stronger part than a casting, and is free from the limitations of using a pre-made mold, so a billet part is often used for custom or low-volume parts when you cannot justify the tooling expenses of a forging die. A "drop forged" piston is created in a die using molten aluminum under very high pressure. The high pressure compacts the grain structure of the metal into a more dense and stronger part, yielding superior strength to a cast or billet piston. In most high performance engines where ultimate strength and durability is needed, you will see a forged piston being used.